Corazon de Vida (CDV) has been providing life support for orphanages in Baja, Mexico. Founded by Hilda Pacheco Taylor in 1994 by helping the orphanage where she was raised, we have grown to providing assistance to 13 orphanages and over 700 children each day receive our help. Beside food and utility payments, we also focus on medical & dental support, improve quality of life, and provide education costs. Today, CDV provides scholarships to 50 university and trade school students, children who have lived in the orphanage system who are breaking the cycle of child homelessness. Follow us on Facebook, Twitter, Instagram, & Pinterest. 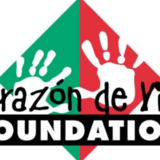 Corazon de Vida Foundation has not yet activated their merchant account with Givsum. Your donation will go to the GIVSUM Foundation who will issue a check to Corazon de Vida Foundation ( less applicable fees ) as a grant within 30 days. You will get a tax receipt for the full amount of your donation from the GIVSUM Foundation, which you may use for your tax purposes.